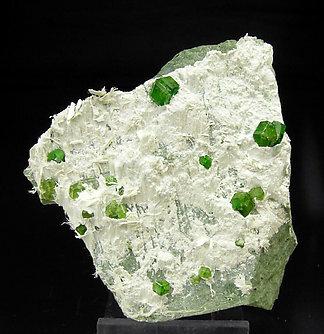 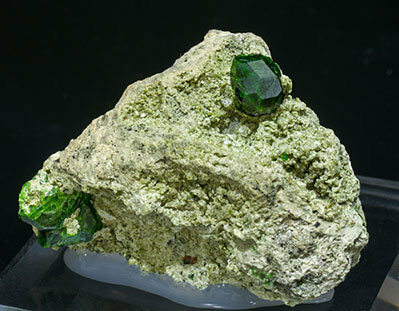 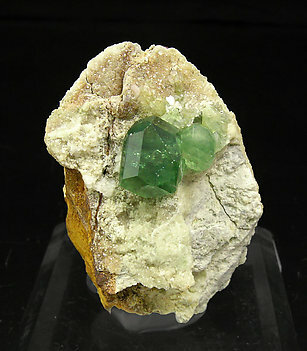 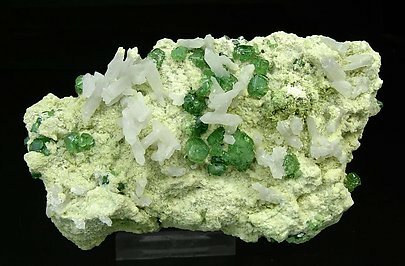 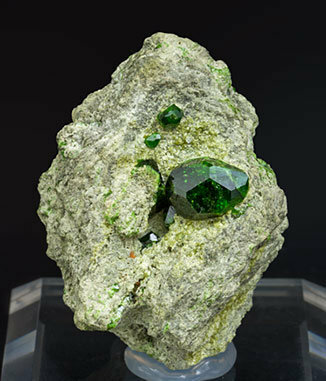 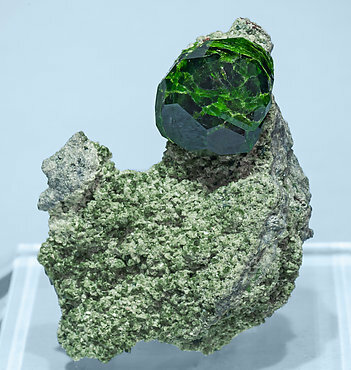 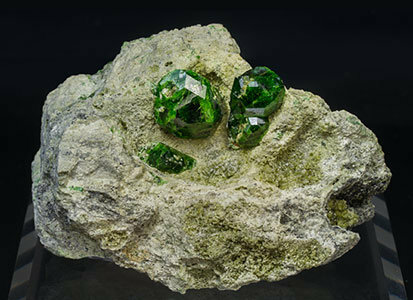 Parallel growth of two Andradite (demantoid variety) crystals, one of them clearly dominant and very large compared with the known samples, having the very well defined forms of the trapezohedron and the dodecahedron, with a very intense deep green color and on matrix. 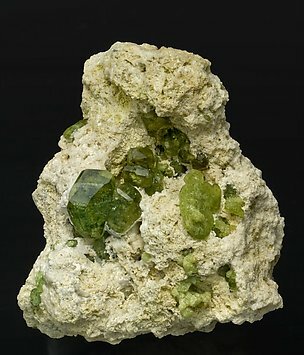 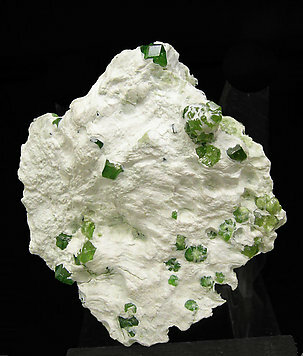 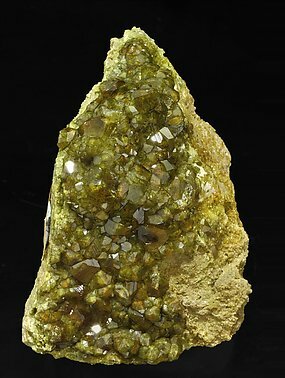 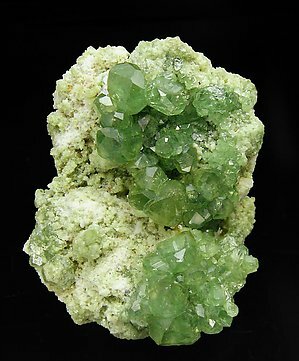 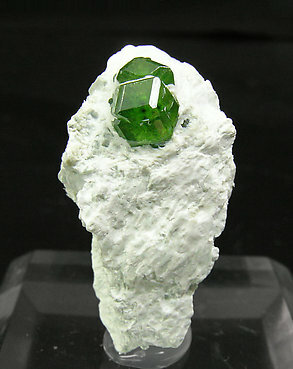 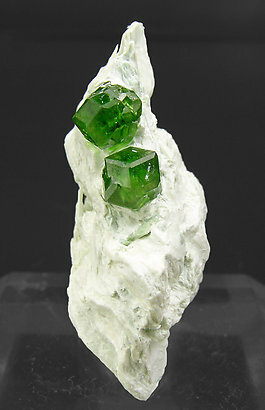 Andradite (demantoid variety) crystals, one of them clearly dominant and with a considerable sizefor this locality, showing the trapezohedron and dodecahedron. 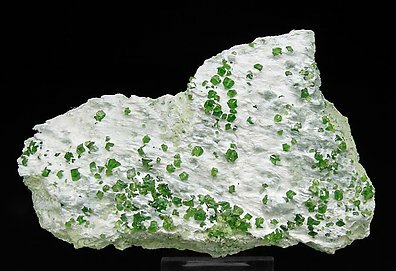 They are bright, have a very intense and deep green color and are on matrix. 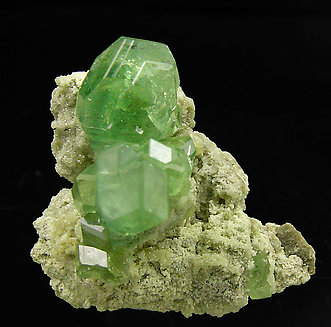 Dodecahedral crystals beveled by trapezohedron faces. 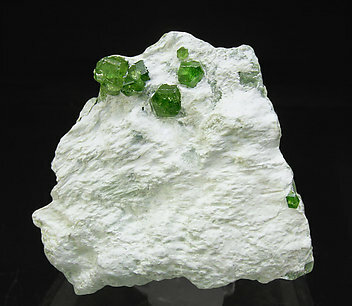 They are isolated or in groups and are translucent, very bright and with an excellent green color. 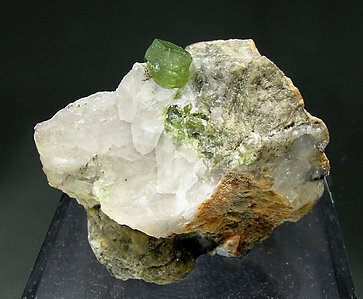 They are on matrix with Quartz, a very rare association on this locality.